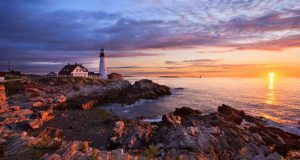 Maine is the largest of the New England states, and with a population of under 1.5 million people, there is plenty of room for everyone. Many Deaf people call Maine home and have found the quality of interpreting services in this state to rival that of any of the largest metropolitan areas in the nation. These interpreting services enable valuable opportunities to be made accessible for Deaf and hard-of-hearing persons. Maine places a high value on accessibility and equal opportunity, where interpreters play a significant role in the Deaf community. Being such a large state, interpreters may travel long distances to various interpreting assignments. Most interpreting services are provided in the larger metropolitan areas of Portland, Lewiston/Auburn, and Bangor, as well as in the state capitol of Augusta, in southern Maine’s York County, and along the mid-coast from Brunswick to Rockland. 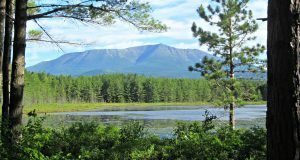 For interpreters who love to travel, you’ll love exploring the beautiful Maine landscape. The job outlook for interpreters considering a move to Maine has never been brighter. There is as great a need for certified interpreters here as there is elsewhere in the nation and freelance interpreters can find many work opportunities that are both challenging and intriguing. See Services for the types of settings in which we work. Also, see Employment below for opportunities with Certified Interpreting. 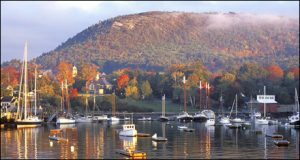 Maine may be known for its lobsters, scenic bays, mountains, and wilderness, but we know it as a place where people put a high value on quality of life. At Certified Interpreting, we seek to keep that quality in the interpreting profession for both consumers and interpreters. For a list of related organizations in Maine, see Links. For more information on Maine in general, see the official website of the State of Maine at www.maine.gov. Certified Interpreting is a full-service brokerage agency hiring freelance interpreters for a variety of contracted assignments. See Services for the types of assignments that we work with. We strive for quality service provided by interpreters with the proficiency and professionalism that represent our agency’s standards. A current copy of any interpreting certifications, such as RID certification. A resume of past and current interpreting work and related education. Three or more references as to your interpreting work, with at least one reference from a RID-certified interpreter and at least one from a Deaf person. If you are a Maine resident, a copy of your State of Maine Interpreting license. You will be contacted regarding a possible interview with us. You may also request a copy of our Terms and Conditions for interpreters. Interpreters working through Certified Interpreting will have direct access to Docket, our secure server-based scheduling system. By entering a username and password to access Docket, interpreters will be able to accept offered assignments, check their schedule, obtain information about assignments, and submit invoices via an internet browser. We ask that interpreters working with Certified Interpreting become familiar with Docket and actively use it for their interpreting assignments. The Maine RID is an affiliate chapter of the national organization, the Registry of Interpreters for the Deaf, Inc. The MeRID is a membership-driven organization that sponsors professional development activities, advocates for improved working conditions for interpreters, and provides support to its members. For more info, visit their website at www.MaineRID.org. Interpreters living in the State of Maine are required to obtain an Interpreting license from the Department of Professional and Financial Regulation. For more information on licensing and current statutes and rules regulating the interpreting profession in the State of Maine, see Maine DPFR website.